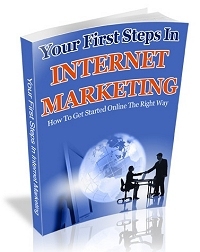 The way to make real money in Internet Marketing is to produce your own products. You have total control over the whole process. But…. It can seem overwhelming where you start first, what I need to think about etc. Wouldn’t it be great to work form a route map that showed you what to do every step of the way saving both time and frustration. Well things just got a whole lot easier because Dan Sumner and John Thornhill have just released “Product Development Control” the ultimate bible for producing you own quality and profitable products in a fraction of the time it used to take. As Dan and John make extensive use of Video, Audio, PDF Instruction and work sheets to take you step by step through the whole product creation process this is as easy as look over my shoulder and do what I do. This is the product creation process in action my two marketers who are known for the quality of the products they create. I have just completed reviewing the whole course and I can say I learned a thing or 9 about how to produce my own products more quickly and easily. “Product Development Control” has 6 Modules. The 5 videos in this module show how to plan a product using the mind mapping process that Dan and John have used to pull in thousands of dollars this year alone. The easy to follow videos and accompanied by access the resources to do this which are free. Watch as Dan and John create the outline to a product “live”. 2 Videos on how to create content, what formats to use where to source professional graphic, often a make or break for any product. Follow the complete checklist to success. Sales page creation techniques, supporting Pages for your products website. Sourcing and producing bonus products. The power of testimonials in the selling process. Four videos cover: Getting started with your product development all the tools you need for free. How to outsource parts of the process for speed and professionalism. Testing your product and give it the final tweaks it needs to produce sales. What are the best methods of processing your payments, the pro’s and con’s of taking money using Clickbank, PayPal, Pay.com, JV Zoo and a host of other payment processors. Lift off! Promoting your product, finding affiliates and JV partners, the power of social media and blogging. A massive set of resources links to online tools plus a mean set of bonus products that would cost more than the price of this program alone. This make “Product Development Control” as complete as it can possibly be. I have spent a day trying to think of what could be added or improved, result I failed. Well done Dan and John you nailed this one! This product is no longer available on The Warrior Forum BUT Dan and John have set up a special discount for visitors to my blog where you can still get this for a measly $27 AND I am still offering my bonus package, this makes it a no brainier for me I can make this back on my first sale! Hurry as I expect these to sell out very quickly! Rob..